Bring chicken broth and water to a boil, stir in wild rice. Reduce heat and simmer, covered 40-45 minutes or until kernels puff open. Drain off and reserve any excess liquid. Heat 2 tablespoons olive oil over medium heat in a large skillet. Add onion, celery, carrot, thyme, salt and pepper; saute 1 minute. Reduce heat to medium; cook 4 minutes, stirring occasionally. Remove from heat. In a large bowl, combine rice, vegetables, 3/4 cup of the Grape-Nuts cereal, dried cranberries, raisins, parsley and sage. Add 1 cup of reserved liquid. Spoon stuffing into a 2 quart baking dish. 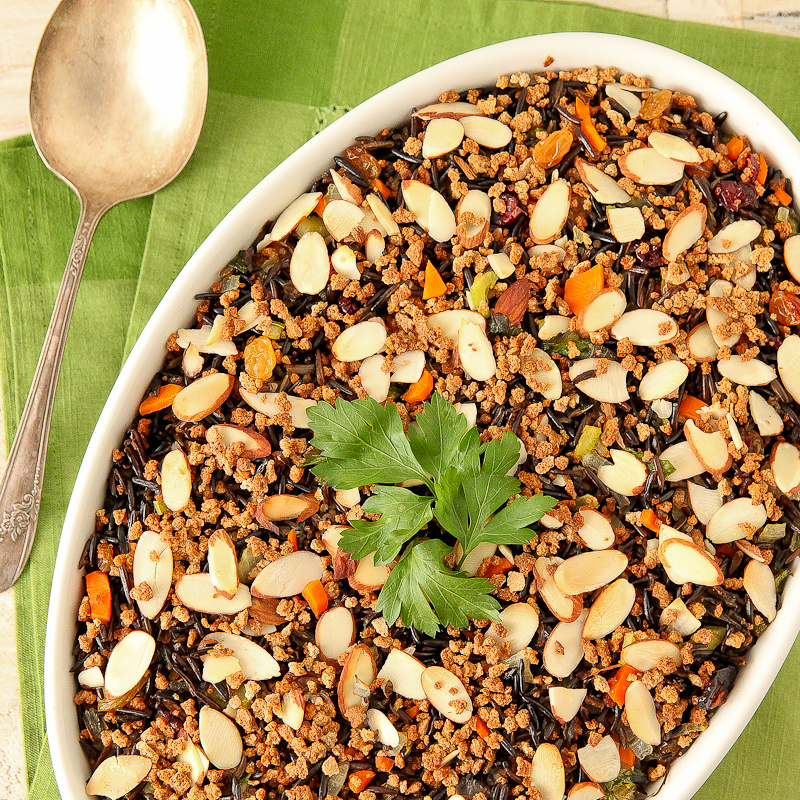 Sprinkle with sliced almonds and remaining 1/4 cup Grape-Nuts Cereal. Cover with foil; bake at 400 degrees F for 20 minutes. Remove foil and bake for 5 minutes more to toast almonds.